An encouraging step of the joint commitment to “walk the paths of communion” (LWI) – The Vatican has issued a postage stamp to commemorate the 500th anniversary of the Reformation. 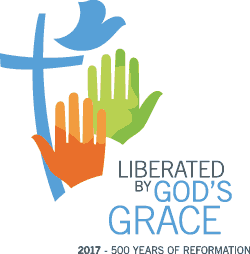 Australian Lutherans and Catholics issue joint statement on Reformation anniversary (LWI) – Lutherans and Roman Catholics in Australia marked the 500th anniversary of the launching of the Reformation by pledging to renew the church together. Today is Reformation Day and Christians around the world are commemorating the 500th anniversary of the Reformation, looking back to 31 October 1517 when Martin Luther presented the 95 theses that sparked the Reformation.